The top Russian official in charge of the defense industry has called the US sanctions discriminatory, noting they often targeted companies whose products were on a par or better than American competition. “By declaring new sanctions against Russia, the USA is demonstrating its panic,” Deputy PM Dmitry Rogozin wrote in his Twitter microblog. 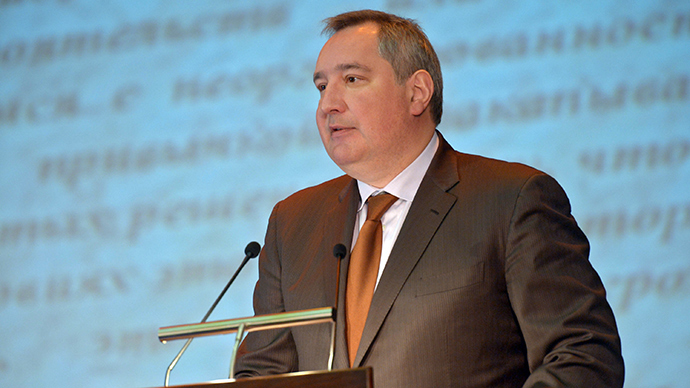 The official elaborated on his point, saying US decisions on sanctions against the Russian military-industrial complex show they discriminate against Russian products that “either surpass or are at least as good as their US analogues <…> This shows that all these illegal sanctions have been caused by dishonest competition and sometimes by primitive jealousy with elements of panic,” said Rogozin. In late January, the Russian weapons chief attacked US President Barack Obama’s claim that US pressure has destroyed the Russian economy, leaving it “in tatters.” The American president said this during his recent State of the Union address. “Obama has claimed that the Russian economy [is] in tatters because of the United States. Like he has torn us like a dog would tear a rag. What a dreamer,” Dmitry Rogozin wrote in his Twitter. Also in late January, Vladimir Putin’s press secretary, Dmitry Peskov, called fresh threats of anti-Russian sanctions “an absolutely destructive and unjustified course that would eventually prove to be shortsighted. <…> Russia has never bowed to such threats and moreover, the threats and blackmail have never led and never would lead to a change in Russia’s well known and logical position,” he said. “Instead of stepping up the pressure on those who refuse to start a dialogue and to solve the conflict in a peaceful way, we hear they want to resume this economic blackmail against Russia,” Peskov went on to say in his statement. In November 2014, Rogozin said Western sanctions would only make the Russian defense sector stronger because they would speed up the much needed process of import replacement. He also noted that even if the sanctions were lifted, the country would continue the plan to become independent from foreign arms producers.